The industrial and commercial revolution of the late eighteenth and early nineteenth centuries saw a considerable rise in the prosperity of the port of Liverpool. Warehouses, sheds and storage yards were being hurriedly built and filled with goods that came into the port from all over the world. Tobacco, sugar and cotton were arriving daily and with no regulation and poor warehousing practices fire began to become an ever increasing problem. Liverpool had already lost its town hall in 1795 to a serious fire and following an exceptionally large blaze at Lancelot Hey in 1833, in which numerous warehouses and homes were destroyed, a private parliamentary bill was successfully enacted to establish a Fire Brigade in Liverpool. 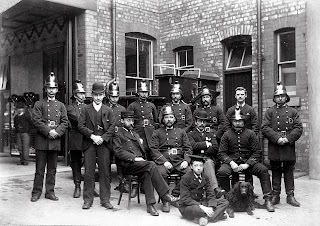 This brigade was to be part of the Liverpool City Police Force and became operational in 1836 (Note: London took another 24 years before it had the "London Fire Engine Establishment" - an insurance organisation). Even though the City now had an efficient Fire Brigade fire losses continued at a high level. In the early hours of Friday 23 September 1842 a fire started in a "dry salters yard" in Crompton Street in the heart of Liverpool's Dockland. There was a strong wind blowing from the sea and the flames were being fanned towards the next property - an oil and varnish mill. 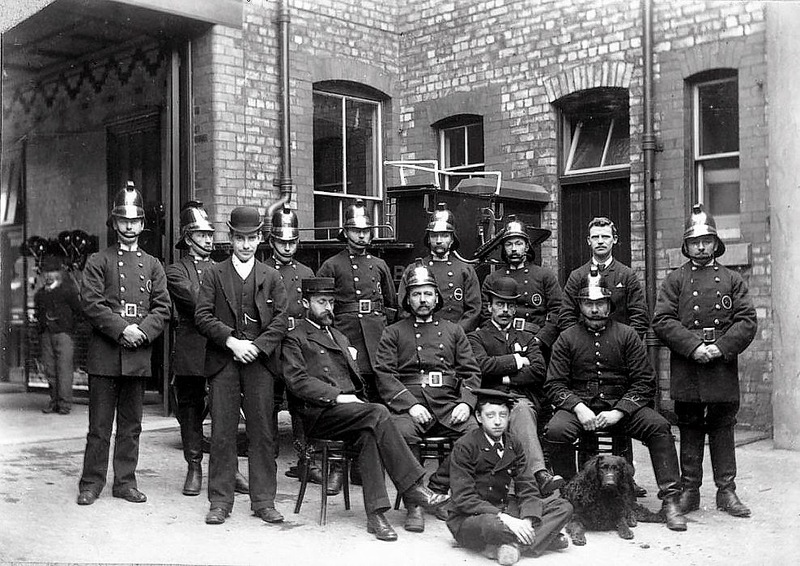 The newly formed fire brigade stood no chance of halting the fire once it reached the 1000 barrels of Turpentine, and by dawn nine bonded warehouses, five free warehouses, seven large storage sheds, a cooperage, several timber yards as well as numerous stables and sixteen cottages were completely destroyed. One fireman and three labourers lost their lives. The bulk of the financial loss had to be born by the fire insurance companies and at today’s prices ran into many millions of pounds. 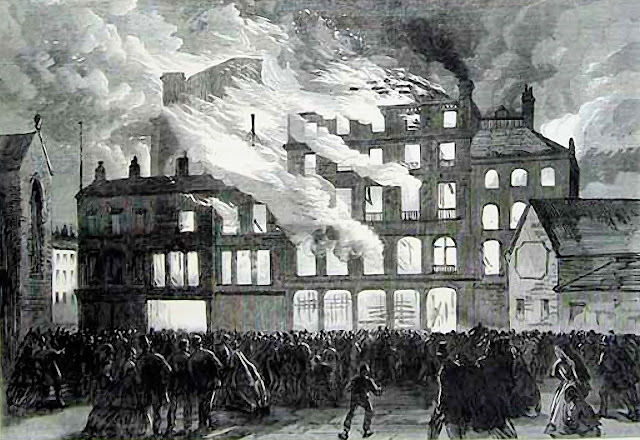 Within days of the fire a Committee, comprising the Secretary of the Liverpool Fire Office and the agents of the Royal, Phoenix, Sun and North British insurance companies met and resolved that "... it be recommended to the various offices doing business in Liverpool to establish a salvage brigade to act as salvors and to take proper charge of all salvages, and see to their proper distribution….”. 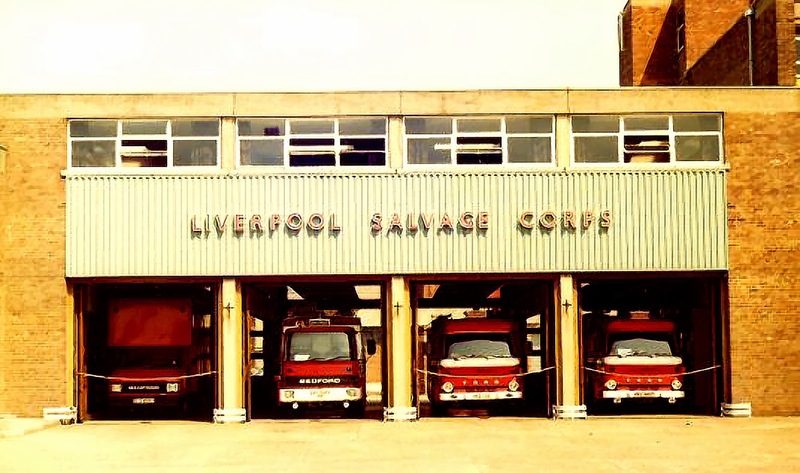 And so the Liverpool Salvage Corps came into being. Similar corps were established in London in 1865 and Glasgow 1873. 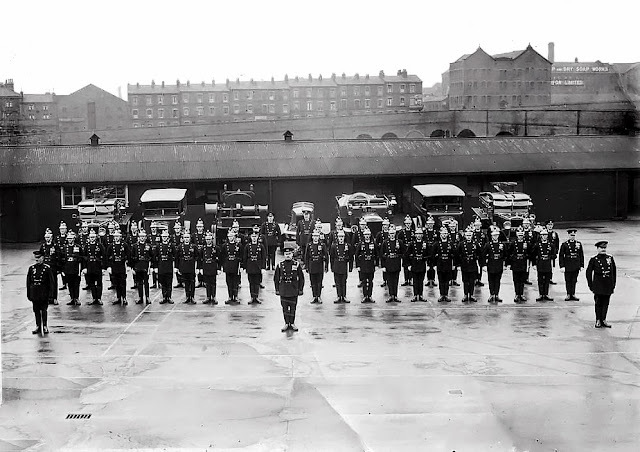 The Corps was financed by the contributing fire insurance offices, proportionately with the amount of duty on insurances issued by each office in Liverpool. Until 1938 an annual contribution had to be made to the fire brigade authority for their attendance at fires in premises insured with member insurance companies. Salvage Corp, Derby Road, 1930. By the 1860's warehouses and their contents had increased in number and value and it was becoming obvious that the organisation of the Salvage Corps was no longer adequate. On 6th June 1866 at a meeting of the Salvage Committee it was resolved that "a Sub-Committee be formed for the purpose of re-organizing the Salvage Corps". The outcome of this was that the Corps was remodelled on the lines of the London Salvage Corps. 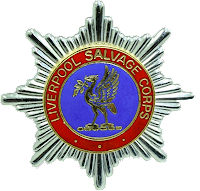 In December 1866 Richard Yelland of the London Salvage Corps was appointed as first full-time Superintendent of the Liverpool Salvage Corps. As such he took over the functions of the former Commander, Secretary and Inspector of Warehouses. Early in 1867, under his control, ten full-time Corps men were appointed and this number was soon to be increased. 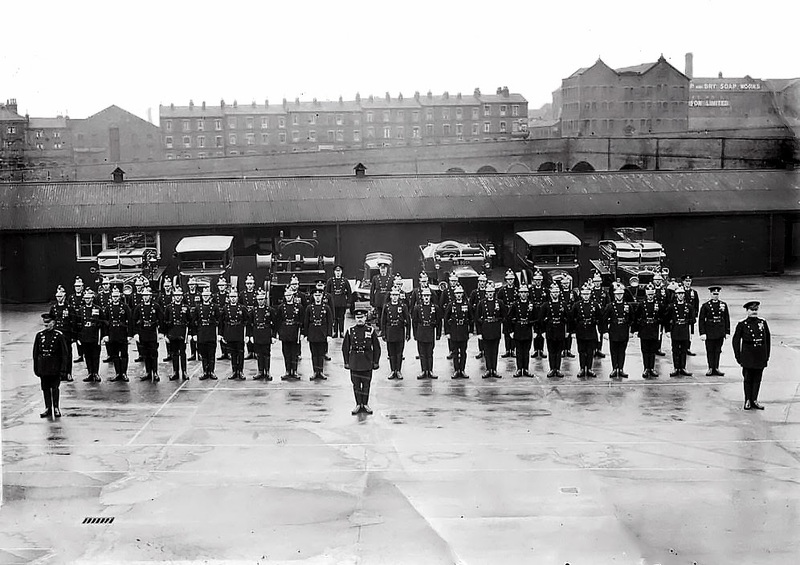 There were to be two new depots, superseding the old one in Temple Street, which were to be fully equipped with "a cart and appliances similar to London. The depots were sited in Hatton Garden and Vauxhall Road, ultimately replaced by the new depot in Derby Road, the site of which was acquired in 1872. In 1983 all members received the following letter from the Chairman of the Fire Salvage Association. "For some time now the Management Committee of the Liverpool Salvage Corps has been increasingly concerned regarding its effectiveness. Whilst there is no doubt that the existence of a dedicated Corps maintaining specialist and extensive facilities has been of the greatest assistance over the years in safeguarding property after a fire, particularly in those areas of concentrated mercantile risks, the changing shape of commercial interests within the conurbation it serves and the ever widening dispersal of premises at risk leads to the unavoidable conclusion that a specialist service can no longer be justified". 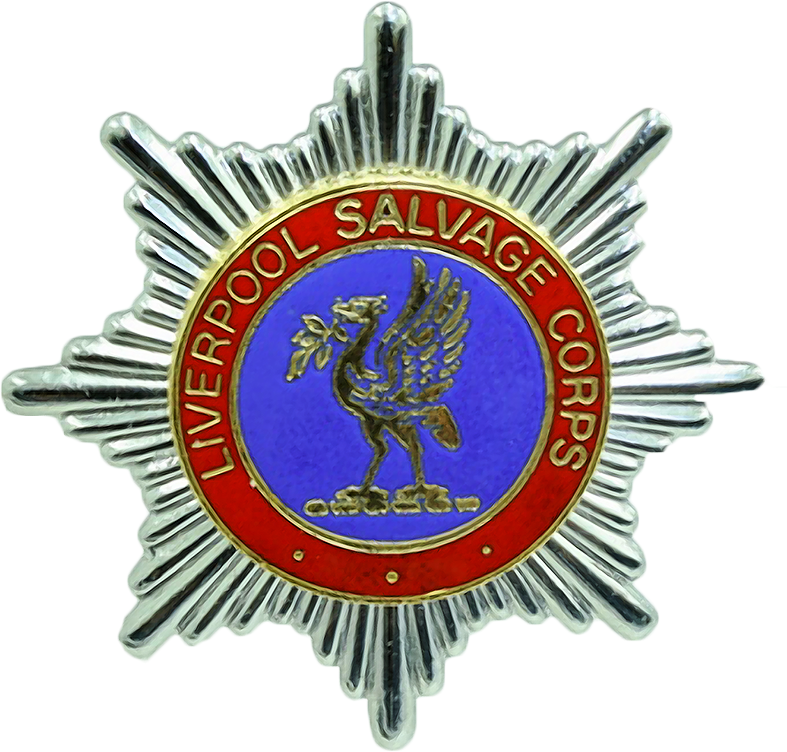 The Liverpool Salvage Corps ceased to exist in May 1984 after 142 years of continuous service.